Founded in 1985, M&L Research has been the leaders in providing independent employment research to our retail clients, corporate clients and government agencies. industries, which we then post on our JobFinder websites. Our websites and research reports have benefited from the input, contributions, and interviews with over 600 industry insiders, experts and industry workers. We use a sophisticated blend of cutting edge technology and grassroots research to provide our customers with the most up-to-date and thorough employment and economic related research reports. We specialize in the ability to take large amounts of complex data and turning it into easy to understand reports that are easy to follow and act on. We also are experts in noninvasive interview techniques which allow us to hone in on the true “heartbeat” of an industry and provide truly unbiased information that traditional research techniques miss. 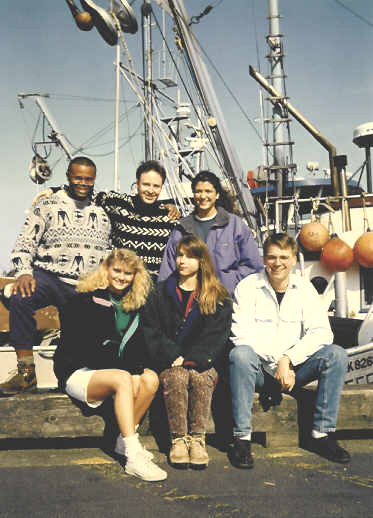 For example, through our company research about the Alaska fishing industry for our AlaskaJobFinder website, we try to interview people at all levels of the company’s corporate structure. We talk to the management team, the personnel manager, shift managers and actual fish processors and fishing boat deckhands. This allows us to give detailed information on the best ways to secure a job with each company. Please read through the information on this website and feel free to contact us if you have any questions.